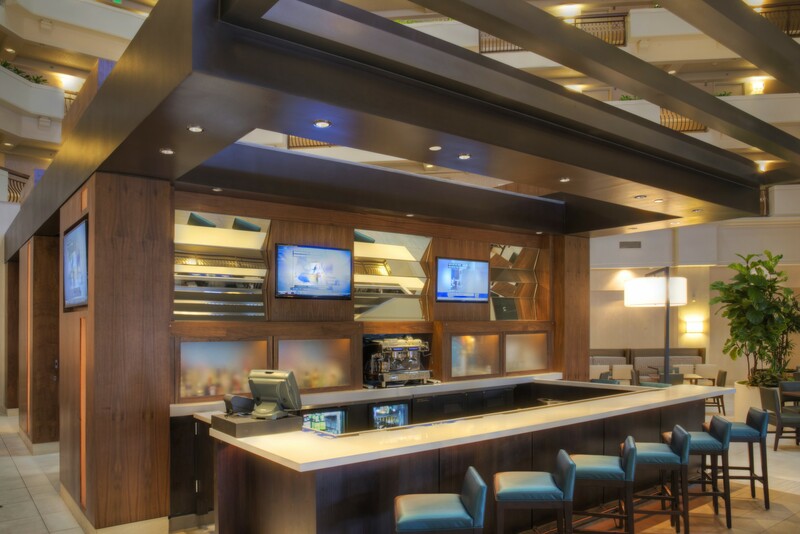 At the Embassy Suites Orange California, we were brought in to create a bar,buffet and lobby area to make this property stand out with a new look that the ownership desired and to bring it to brand standard. The job was a complicated and fast-track project. 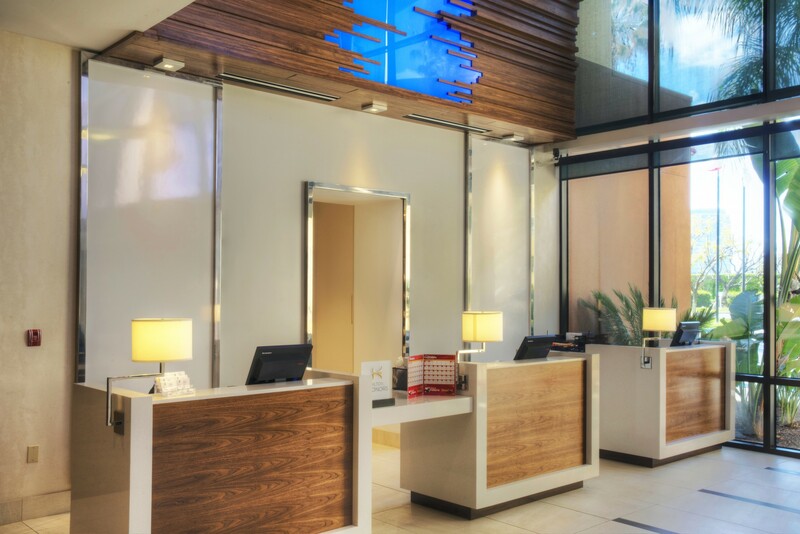 With the hotel in operation we had to work closely with management and the contractor, First Finish, to ensure that the service for guests remained as smooth as possible with an on-time completion. 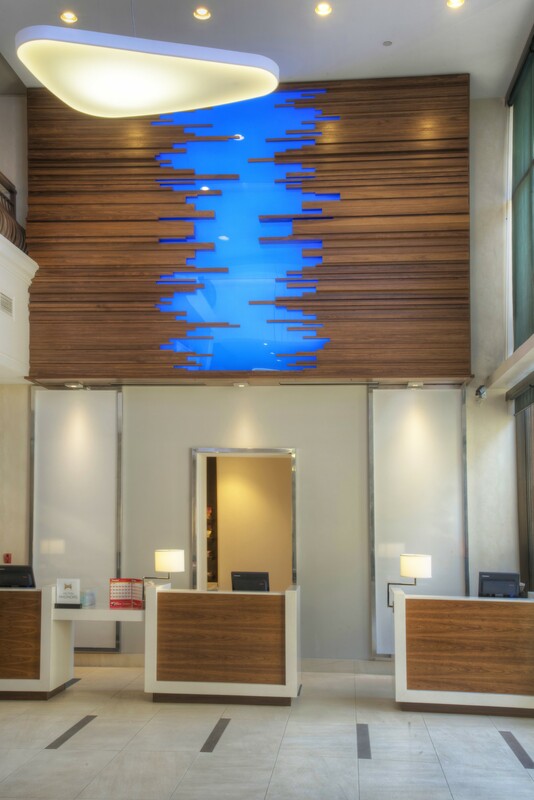 In collaboration with the designers, ownership and contractor we created some very beautiful new features into the Hotel. At the front desk area we had stone reception pods which are very modern and sleek. Behind the Pods we have polished aluminum frames and casing created with 2×2 solid aluminum bar stock. 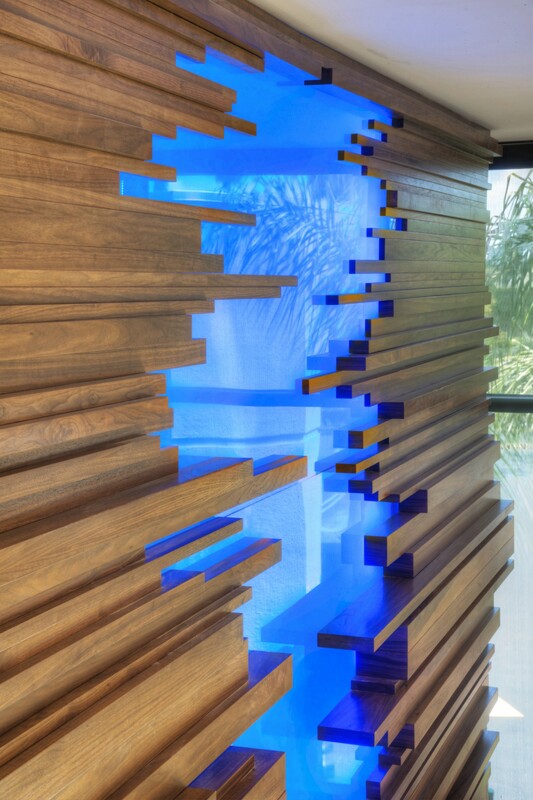 Above the pods we put in a Feature wall consisting of different walnut slating and acrylic that was back lit. 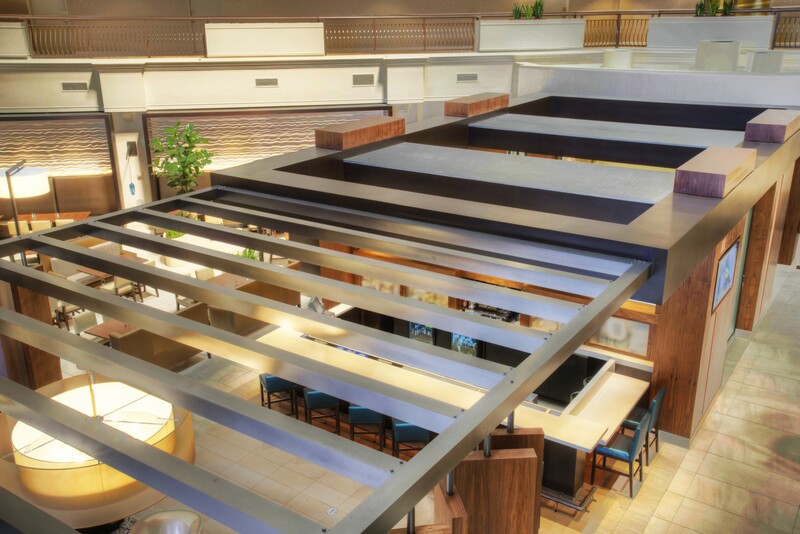 In the atrium we created a very polished aluminum trellis system that was engineered for the seismic conditions of the area as well as maintaining a beautiful appearance. The designers excelled in their design of this area with walnut panels mounted on tubular steel posts, turned at angles to create a warm environment for the guests. 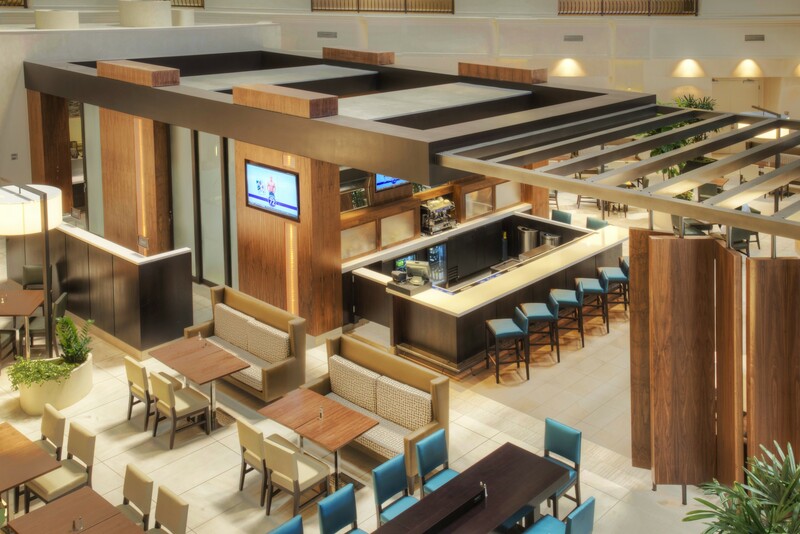 This area also adjoins a very clean looking bar to envelope this space. 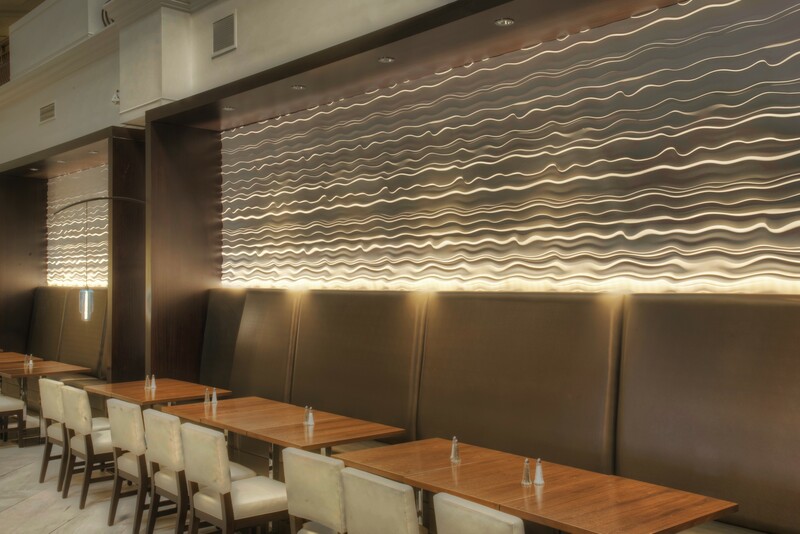 We put in some unique Modular Art wall panels behind the banquette seating. These were up lit to highlight the pattern that the panels have. 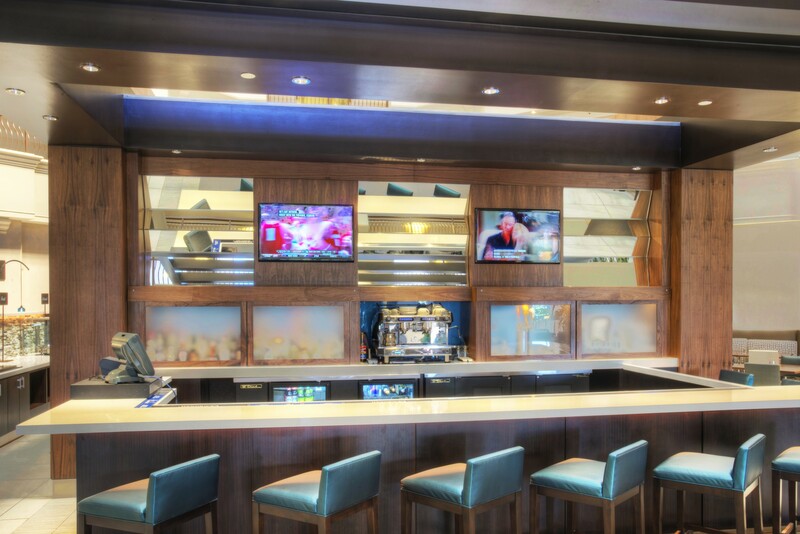 The buffet area and cook to order kitchen were created to make sure the customer would have an inviting experience. 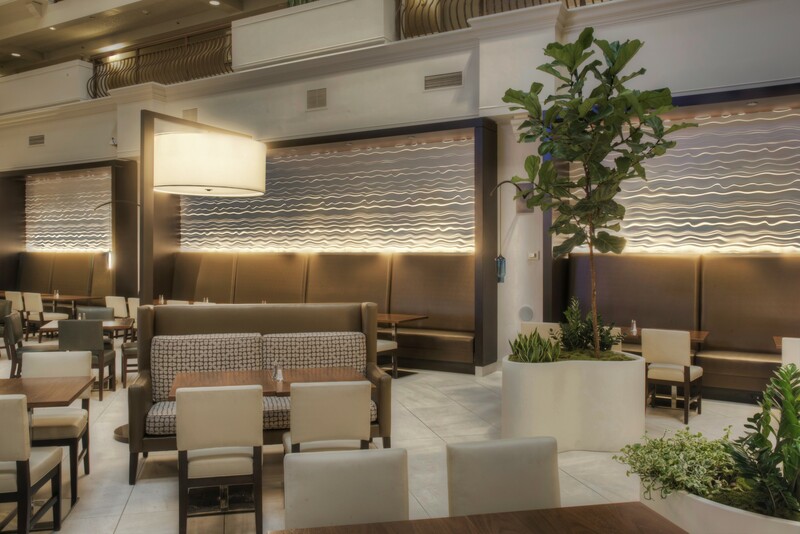 We used walnut columns with Gage Metal mesh in them back lit. 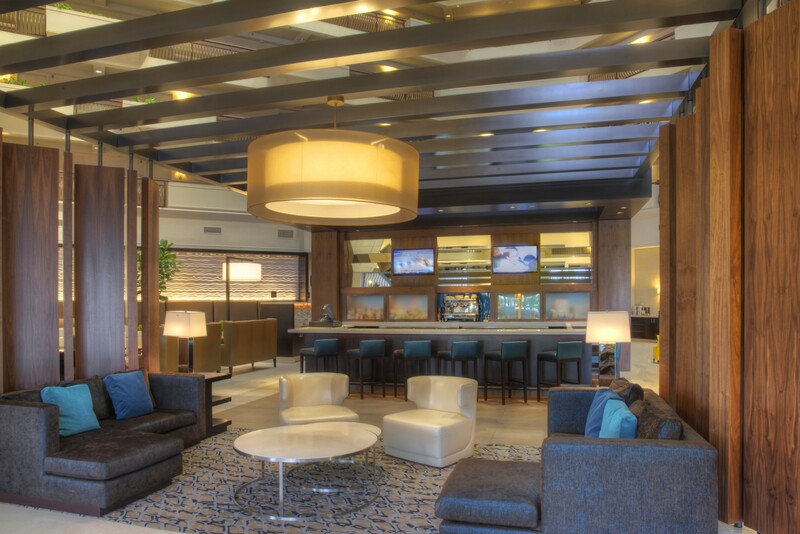 Out team believes that we helped create a space that the Ownership and Design team envisioned for this property. AWC enjoyed working with all of the Team members and to see our work completed on time and to the satisfaction of everyone involved.